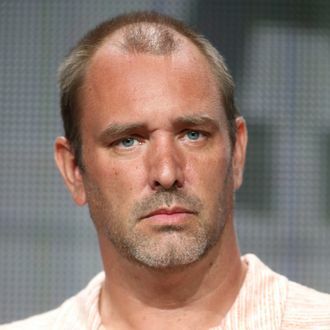 South Park co-creator Trey Parker has signed on to do something decidedly not–South Park next: Despicable Me 3. EW reports that the voice and mind behind such foul-mouthed characters as Stan Marsh and Eric Cartman will play Balthazar Bratt, a narcissistic former child star (think BoJack) and the latest enemy of Steve Carell’s Gru. The news came Wednesday from CinemaCon, where the CEO of animation studio Illumination described Parker’s character as “driven to supervillainy as a result of the abrupt cancellation of his TV series when he hit puberty,” and clothed in purple ’80s garb. Parker’s participation in the film, in theaters June 30, 2017, is notable because it marks a family friendly project on a résumé rounded out by Team America and Book of Mormon. Perhaps most interesting, the role also means a rare instance of the actor and longtime South Park helmer respecting another director’s authori-tah.